Dorothy M. Heeden, 95, of Heritage Green Rehab and Skilled Nursing formerly of Frewsburg, passed away Friday (Dec. 29, 2017) at Heritage Green. She was born June 18, 1922, in Jamestown, the daughter of Doremus and Fern King Flickinger. 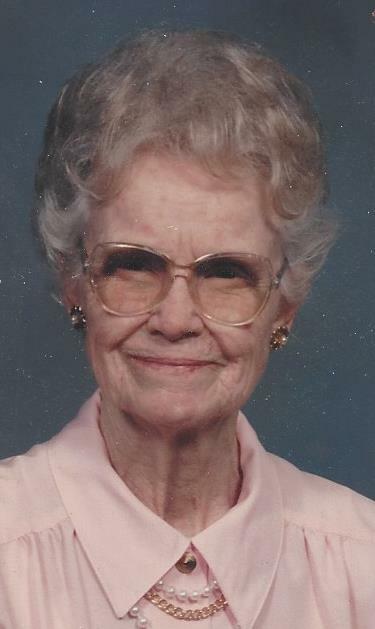 She was a 1941 graduate of Jamestown High School and for many years continued to meet once a month with her school friends. While living in Jamestown she attended SS. Peter and Paul RC Church and after moving to Frewsburg, attended Our Lady of Victory RC Catholic Church where she was a member of the Altar and Rosary Society. She was a member of the Home Bureau, Frewsburg Study Club, the Arts and Crafts Club, and belonged to the retired teachers group. Dot was a seamstress and enjoyed tailoring, making clothes, drapes, and wedding dresses most of her life. She was very good wife and mother. Dot was very social and loved entertaining and spending time with her family and many friends. She had a beautiful voice, loved music, singing, listening to the radio and whistling. Dorothy is survived by three children: Christine A. (Stephen) Morgach of Rochester, N.Y., John L. Heeden of Jamestown, and Elizabeth R. Heeden of NYC; four grandchildren: Sherry Lilly, Cynthia Morgach, and Mark and Ryan Heeden; seven great-grandchildren: Jamie Donovan, Sydney, Lyndsey, Ryley, and Adam Lilly, Riley and Luke Heeden; and a great-great-grandson, Seifer Donovan. Besides her parents, Dorothy is predeceased by her husband, Melvin Heeden, whom she was married to for 44 years and who died in 1990; a sister, Phyllis Osborn; a nephew and brother-in-law. A memorial mass will be held at 11 a.m. Wednesday, Jan. 3, 2018, at Our Lady of Victory Oratory, Frewsburg. The family will receive friends immediately following the service in the church hall. The Rev. Darrell Duffy pastor of St James Parish and Our Lady of Victory Oratory will officiate. Burial will be in Maple Grove Cemetery, Frewsburg. The Peterson Funeral Home in Frewsburg is in charge of arrangements. Memorials may be made to Myers Memorial Library, 6 Falconer St., PO Box 559, Frewsburg, NY 14738. Condolences may be sent to Dorothy’s family at petersonfh.net.